Snoring is a harsh or some times rattling noise that is usually produced during deep sleep. The sound is produced when air inhaled through the mouth vibrates the tissue in the roof of the mouth near the throat. As the soft tissue vibrates, the lips, cheeks, and nostrils can also vibrate, making the sound even louder. Almost everyone snores occasionally, but men usually snore more often than women and children. Everyone knows this problem, as snorers themselves or as involuntarily listeners. In either case, the results are undesirable. so that it wakens the person sleeping. The person often finds themselves drenched in sweat with a heart beating rapidly. Excessive palpitation is often attributed to dreaming, but that is not usually the case. The actual cause is snoring. Healthy, quiet and restful sleep is possible with the Urocare® Anti-Snoring Strap. It helps snorers and saves others from torment. It is made from soft, synthetic rubber and padded with a fine cotton and foam laminate. Through gentle training, the lower jaw remains closed during sleep. 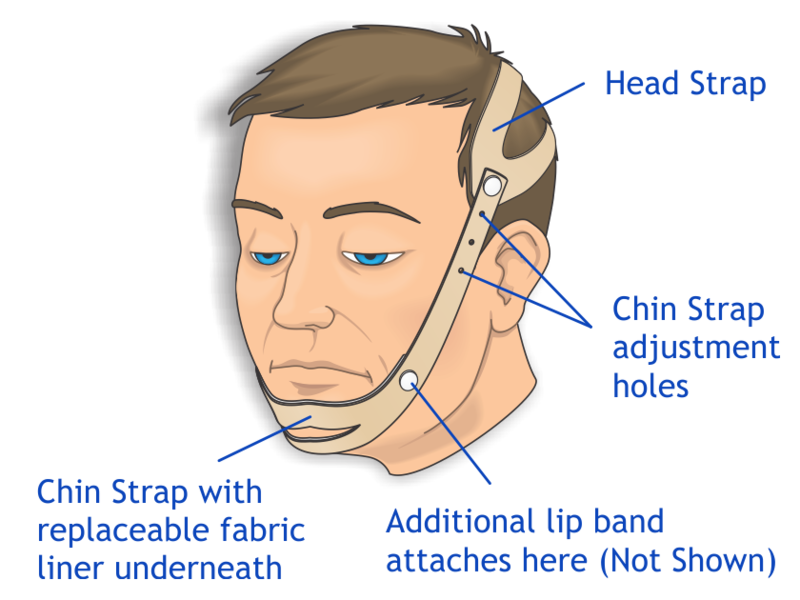 Every snorer should in their own interest, but also with regard for his fellow man use the Urocare® Anti-Snoring Strap. OTHER Contents not sold separately. Director, Comprehensive Sleep Disorders Institute. All rights reserved.